Seeing the growing backlash toward abuses of civil asset forfeiture laws by law enforcement agencies across the country, Wyoming lawmakers recently passed legislation that would enact strong protections for innocent people who may have their property wrongly taken by overzealous police officers. In its 2010 report, Policing for Profit, the Institute for Justice, a libertarian public interest firm, noted that Wyoming "has horrible civil forfeiture laws," due to law enforcement needing to show only probable cause to seize assets that they believe were used in a crime even without charging, let alone convicting, the property owner. Essentially, the property seized is guilty until the owner proves its innocence, setting a high standard of proof that discourages people from fighting to get their property back. Under current Wyoming law, forfeited assets are sent to the state's attorney general, who uses distributes the proceeds from an asset fund in the form of matching grants to law enforcement agencies and police departments. In May 2014, members of the Wyoming legislature's Joint Judiciary Interim Committee announced that they draft legislation that would overhaul the state's civil asset forfeiture laws to provide greater protections for innocent people. The committee released a draft bill in September and introduced it December. The Wyoming Legislature acted quickly to push SF0014, clearing by overwhelming, veto-proof margins in both the state House and Senate. The legislation is grounded in common sense, requiring, you know, an actual conviction before assets can be forfeited to the state. Republican Gov. Matt Mead, a former county prosecutor and U.S. Attorney under President George W. Bush, vetoed the legislation last month, defending civil asset forfeiture in a letter to state Senate President Phil Nicholas (R-Laramie). "We, in Wyoming, recognize that in some states civil forfeiture has been abused. 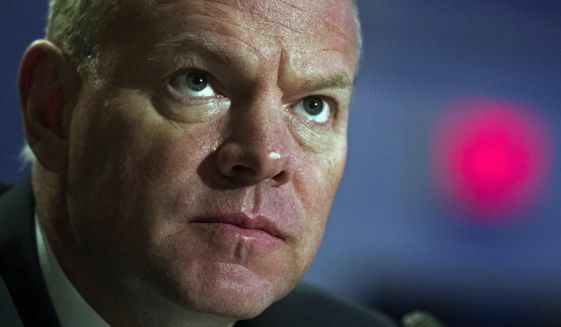 Here in Wyoming law enforcement officers -- prosecutors, sheriffs, police officers, the Attorney General, have used civil forfeiture as a legitimate tool against those who would profit from the destruction caused by drugs," Mead wrote in a letter to Nicholas. "We do not have the abuses found in other states." "I understand the debate. I agree with the scrutiny. Wyoming has passed the test. We use the law as it was intended to be used. We should not solve a problem that does not exist or rearrange a law that works based on 'what ifs.' We do not have to conjecture because Wyoming's civil forfeiture law has more than 40 years of actual implementation," Mead added. Stephen Klein, a staff attorney for the Wyoming Liberty Group, concedes that the state's civil asset forfeiture laws haven't been abused like other states, but, he notes, that's not a very high bar. "We’ve simply failed less than some other states," Klein wrote last month. "This is nothing to be proud of. Governor Mead owes us better." He also cited abuses of civil asset forfeiture in Wyoming, which, perhaps conveniently, escaped the attention of the Mead administration. "With civil forfeiture, it doesn’t matter how well the law is enforced; it’s the law that’s the problem. When the government may take your property without convicting -- much less charging -- you of a crime, it’s a problem. When you are forced into court to prove your property is legitimate -- again, usually without legal counsel because the government need not provide one if you can’t afford it -- it’s a problem. Any time the deck is stacked in favor of the government like this, it’s a problem," Klein added. Unfortunately, despite passing the civil asset forfeiture reform legislation by an overwhelming margin, the Wyoming Senate, just last week, voted against overriding Gov. Mead's veto. And with that vote, Wyoming missed an opportunity to end a bad policy, leaving open the door to abuse of civil asset forfeiture by law enforcement officials in the state.